Genre: 2D Platform – Action Level Based. Directional – AWSD keys or Arrow Keys. Crouch – S or Down Arrow Key. Attack – ALT or Left Mouse Click. MidAir Attack - Jump and ALT or Left Click. There is also GAMEPAD support it for the PC version, tested with the Xbox360 Controller. 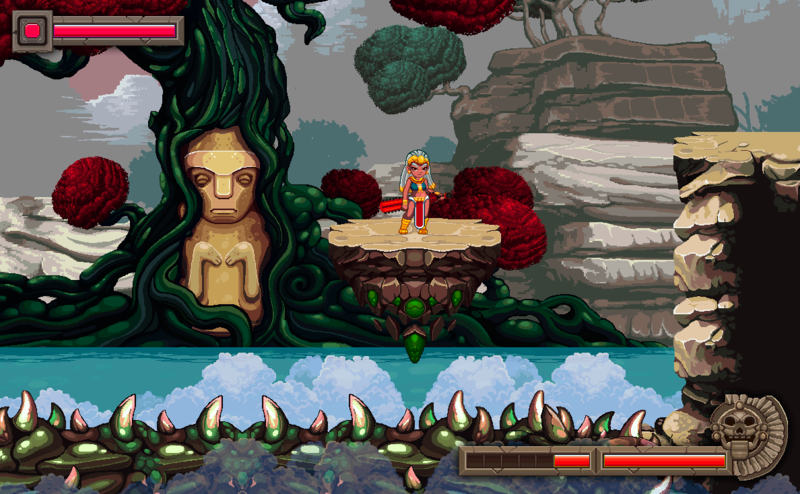 This game contains (or will contain) certain references to religion, culture, myth and fantasy of pre-Columbian tribes. This is not done with the intent to annoy or offend anyone, and are treated with respect, the intention is to promote our precolombian culture through the game and rescue the diversity of various indigenous tribes in Colombia. In this game we do not direct reference to a person, tribe or specific organization. Any resemblance to reality is just coincidence. A world between dreams and chaos is unleashed, and restoring the ancestral powers within you will help to bring peace to a world dominated by shadows, and memories. A world full of monsters, violent nature and other dangers. It is here where our warrior Xintana, is summoned by the goddess Aluna, and helps you enter the world of the living. She starts its journey through the ancient world, without knowing the reason why it's there. Follow up her story, you will be able to face a lot of adventures, challenges and much more. Discover the real mystery behind of Xintana. An epic adventure with a lot of places to explore! 2D platformer that will remember classic old games! 16bits/SNES inspired style, low-resolution graphics! Fight against many enemies in action battles! A living world, inspired by old myths and legends for Precolombian culture! Enjoy puzzle environment platforms to progress in the game! 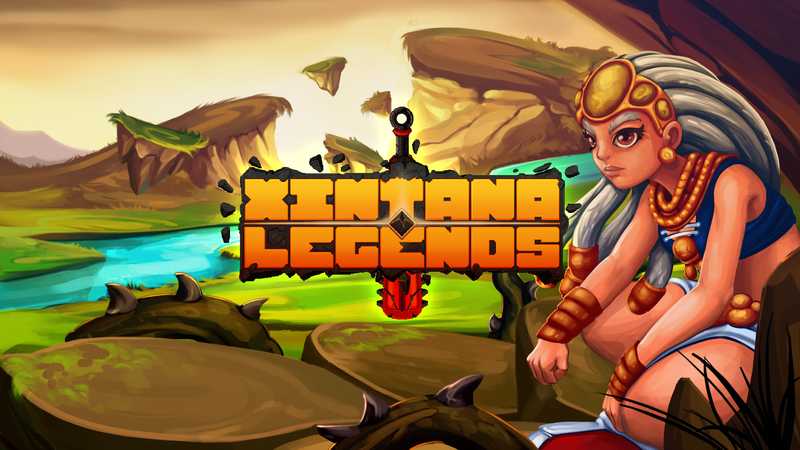 If you like the game dont forget to check it out our soundtrack made for "Xintana Legends" during IGMC 2015 by our two music artist only on SoundCloud. If you are interest on how we made this game, please check out our DevBlog for news and updates, you also check it out in our social media we post here regulary on Facebook - Twitter - Tumblr - Unity 3D.